Let the whole neighborhood know how proud you are of your new graduate with graduation yard signs. 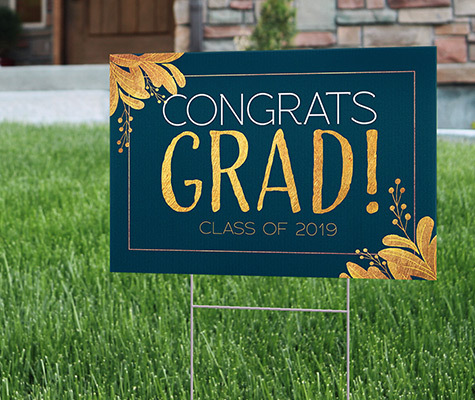 Durable and stylish, these signs are great for graduation parties and events, as well as making your graduation announcement even more special. Our Graduation Yard signs are made from durable, corrugated plastic that holds up rain or shine. Each sign is printed using our high-quality UV inks for crisp images and color that withstand the tests of time. 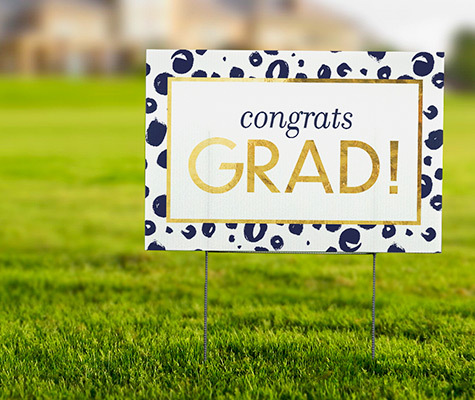 Graduation Yard signs are available in two sizes and designs to fit the style and needs of any graduate!